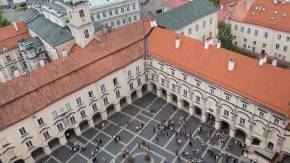 An art historian and writer who has revealed the mysteries of the Baroque era in Vilnius. The tetralogy Silva Rerum by art scholar Kristina Sabaliauskaitė (PhD) has enchanted readers and became an international bestseller. Her novels have proved that the history of the Grand Duchy of Lithuania, told in such an intriguing manner, may be read as part of the general narrative on European history. These four books cover four generations of the same noble Lithuanian family and the history of the entire land and its cultural connections – including universities and monasteries, manor houses and labyrinthine town streets, and the protagonists’ travels to London, Paris and Amsterdam. Kristina Sabaliauskaitė’s novels have been translated into the Polish, Latvian and English languages. 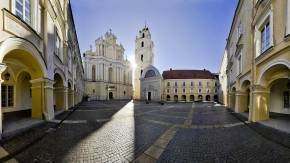 The readers’ admiration is demonstrated by the fact that sightseeing tours are continuously held in Vilnius to follow the routes mentioned in the novels.